Spring has arrived, and it’s wonderful. Whether you’re looking for a luxurious tropical holiday in the sun, a city break for the family during the Easter holidays, or a stroll around beautiful countryside, HotelREZ has you covered in April. 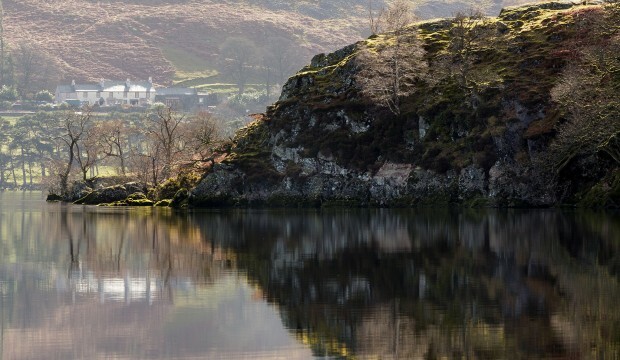 Britain plays host to some genuinely beautiful countryside, which all too often goes unnoticed when compared to the soaring mountains and deep valleys that can be found in the rest of Europe. But the Lake District surely gives any Alpine vista a run for its money. It’s also a pleasant countryside retreat for couples and families alike. Highlights including walk amid the fells, taking a boat trip on one of the area’s eponymous lakes, exploring the pretty towns and villages, or visiting a traditional local pub. The region is also home to England’s highest peak: Scafell Pike. The hike is a popular one, so April is a particularly good time to attempt it to avoid the summer rush. Many hikers complete the climb as part of the ‘Three Peaks Challenge’, which involves tackling the tallest mountain in each of Scotland, Wales and England. Scafell Pike is by far the smallest of the three, but it can still present a challenge. Everyone attempting the route should be fully prepared! The Tuscan countryside is well known to be a true idyll. With picture-perfect landscapes, an impressive artistic and historic heritage, sensational wines and gastronomic delights, it’s very difficult to do a countryside break better than in Tuscany. One of the highlights is a trip to the little region of Chianti. Aside from being Hannibal Lecter’s favourite tipple, Chianti is one of the world’s most famous and most celebrated wines. 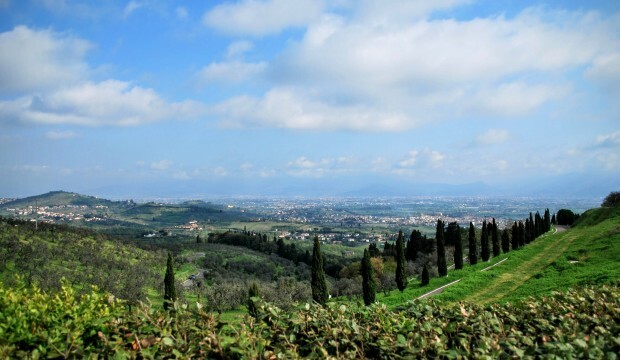 Tuscany is its home, and a tour of the vineyards of the Chianti region is well worth anyone’s time (provided they’re over the age of eighteen, of course). The best way to explore the area is by car, but you can hire a bicycle or take a bus from Florence as well. Most wineries are open for tours and tasting, and some will even offer accommodation. In between bottles of dark red alcohol, you might like to visit the tiny medieval walled town of San Gimigiano, go in search of the region’s iconic fields of sunflowers, or explore the pretty village of Radda in Chianti, squeezed between two valleys. If you’re prepared to splash out a bit, you can take a helicopter tour from Florence, and see this beautiful rolling hill country from above. It can get busy this time of year as people head abroad with their families for Easter. A good option to avoid the crowds but still have the hustle and bustle of a proper city break is Leipzig, a remarkable and overlooked city in the German Land of Saxony. Leipzig is fast becoming the ‘new Berlin’. It’s trendy, historic, and filled with architecture, museums, churches, and little passages lined with shops and bars. A sight worth seeing is the Monument to the Battle of the Nations, a tall and imposing memorial of the Battle of Leipzig in 1813, in which a coalition of various German states, Russia, Austria and Sweden defeated Napoleon. It was the largest battle in Europe until the First World War. Climb to the viewing platform at the top and you’ll be rewarded with a spectacular view of the city and the surrounding lands. A family break might take you to Leipzig Zoo, one of the largest and most famous in Germany, though slightly pricey. 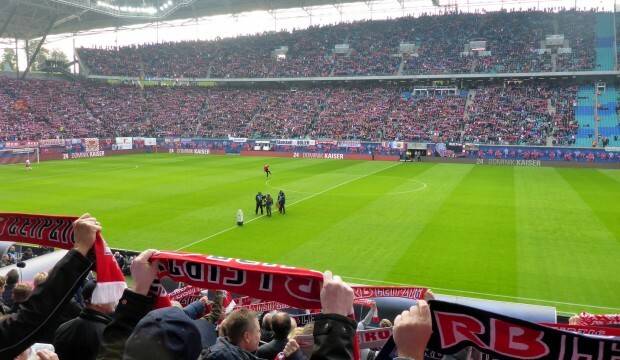 Another fun option is a visit to the rising force in German football, RB Leipzig. Established by energy drinks company Red Bull in 2009, the club have courted controversy among Germans ever since, but play a pleasing style of football in a family-friendly stadium. Spring arrives a little earlier in Budapest, and by the end of April you can expect the sun to shine around ten hours a day, making it the perfect time for some sightseeing. 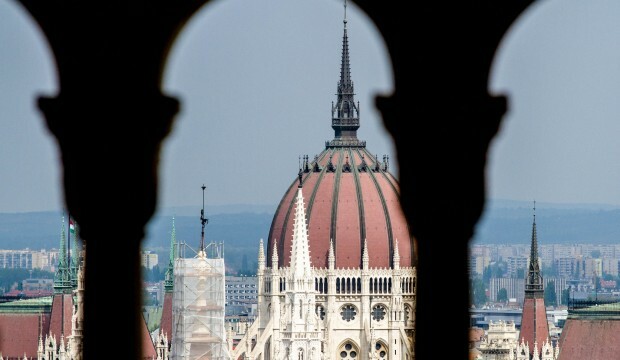 The Hungarian capital has become one Europe’s hottest destinations over the past several years; during April, it’s easy to see why, with a raft of festivals, concerts, open-air theatres and other entertainments taking place across the city. In our guide to winter activities, we suggested bathing at Budapest’s famous open-air thermal baths. To us, they come recommended all year round. The Gellert or Szechenyi baths make for a cosy, warming treat in the winter, and a pleasant chance for relaxation under blue skies in spring. For those looking for an obscure experience, the delightful Museum of Eletrotechnics comes highly recommended. Set in an old transformer station, a jolly moustachioed man in a lab coat will guide you through a series of old-fashioned electrical curiosities like Van De Graff generators, Tesla Coals and other wonders. It’s sadly neglected, but that means you’ll likely have the place to yourself. In Brideshead Revisted, by Evelyn Waugh, Oxford is a magical, magnificent place in which ‘her grey springtime, and the rare glory of her summer days when the chestnut was in flower and the bells rang out high and clear over her gables and cupolas, exhaled the soft airs of centuries of youth.’ This youth – the university – is felt everywhere. Its most beautiful colleges, museums, and parks all belong in some way to that ancient institution. Wander round its narrow streets and you’ll find famous architectural gems like the Bodleian Library, the Radcliffe Camera, and the Bridge of Sighs. You can visit the Botanical Garden, and with the weather improved, take a punt along the River Isis. If you’re looking for museums, the Ashmolean Museum and the Oxford University Museum of Natural History are both genuinely superb. When you’re done exploring the city, why not visit one of its many excellent pubs; fans of literature might appreciate The Eagle and Child, where J.R.R. Tolkien and C.S. Lewis used to drink. 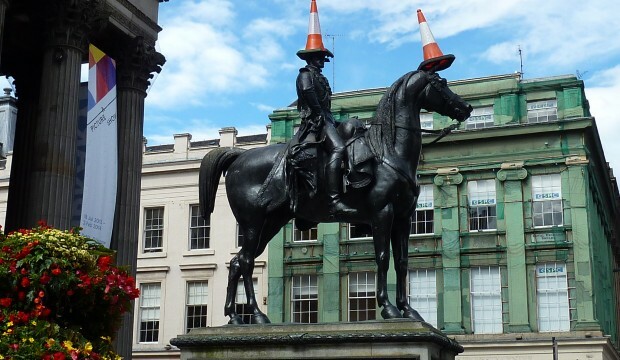 Glasgow is the biggest city in Scotland. It has emerged from its industrial past, and today stands as a centre of commerce, culture, and tourism. The city has transformed itself in recent years. Visitors will find a vibrant, modern city, coloured by fine Victorian architecture – including its cathedral – and two world-famous football clubs in Celtic and Rangers. Major sights include the grand Kelvingrove Art Gallery and Museum, the famous Glasgow Green park, and the Willow Tea Rooms, among others. Glasgow is also home to burgeoning culinary scene – it was named ‘Curry Capital of Britain’ two years in a row. You’ll find some excellent, lively pubs, too. If you want to drink like a local, try the so-called ‘Sub Crawl’, a pub crawl round the Glasgow Subway that takes in the nearest pub to each station. It’s a novel way of seeing different parts of the city, although we don’t recommend a whole pint at each stop – there’s 15 stations, after all. Looking to travel on a different month? Have a look at our monthly suggestions, or check HotelREZ Hotels & Resorts’ website for the best deals.